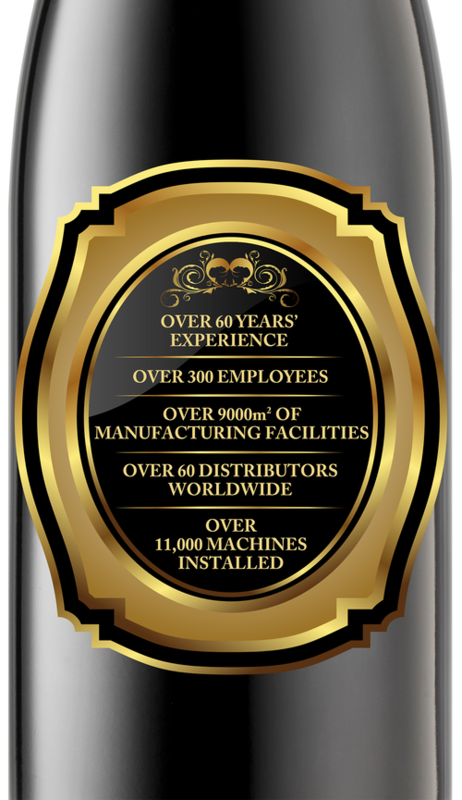 For over 15 years, Digicon digital finishing equipment has been a clear market leader, with over 1000 machines installed worldwide. We have distilled what we have learned into the design and development of our Digicon Series 3 equipment. 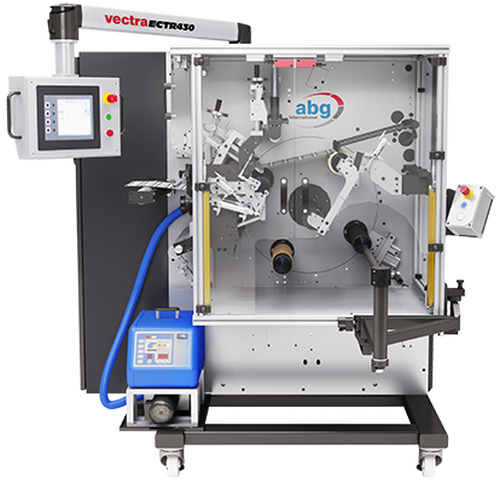 Able to work faster, and capable of adding an even wider range of valuable finishes to labels, packaging and shrink sleeves. Accurate - built with precision to ensure consistent results. Flexible - with modules and options to give you a competitive edge. Easy-to-use - with intuitive controls and low-cost maintenance. The Digicon Lite 3 is an entry level, compact digital finishing system built to the same, exacting standards as the larger, market leading Digicon Series 3. Capable of running at 64 metres per minute in semi rotary, it can operate in line (right to left only) or stand-alone. Cold foiling - produces a great, foil finish with a standard, flexo plate. Super varnish - produces a premium, high gloss finish. Autoslit with label gap sensor - saves time by automatically setting knives. The Omega 510 is a versatile uni or bidirectional rewinder and inspection system. Automatic workflow - quick to set up, easy to operate and timesaving. Choice of scissor, razor or crush knife slitting - with range of cutting options – for any application. Web guides at unwind and rewind - for accurate web handling. The Omega 2010/3010 is the solution you need if you want to inspect, rewind, print and cut in one timesaving operation. Ink jet numbering - fully integrated and easy to set up. Choice of fleyeVision 100% print, UV barcode, ultraviolet and braille inspection - to meet your quality assurance requirements. Optional fleyeVision OCR - camera inspection of the back side numbering. New! 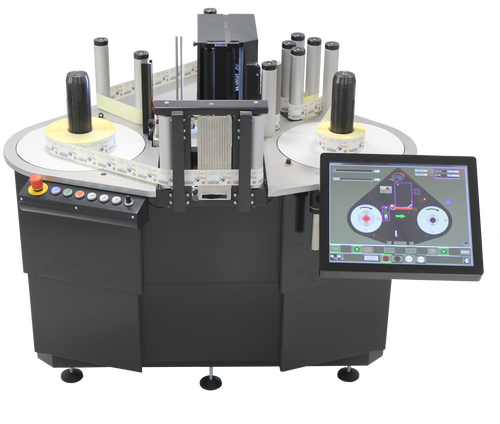 - Introducing our new multifunctional table top bidirectional rewinding solution, for inspection and reworking of single lanes. Our Converter Series 3 is a fully modular converting line, which can be customised to meet your individual needs. 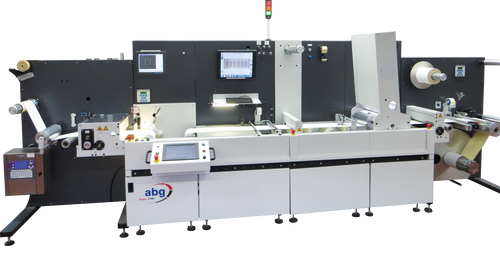 Whatever your customers require, this system can provide - from rotary die cutting, flexo printing, inkjet printing and laminating to hot and cold foil applications.  Unwinds - available to handle 700mm, 1000mm and 1250mm diameter rolls. Rotary die cutting and sheeting unit - with matrix rewind. 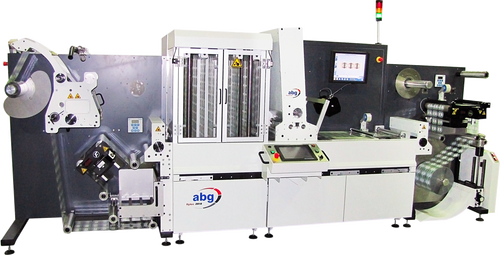 Flexographic coating and printing units - to deliver high quality results. 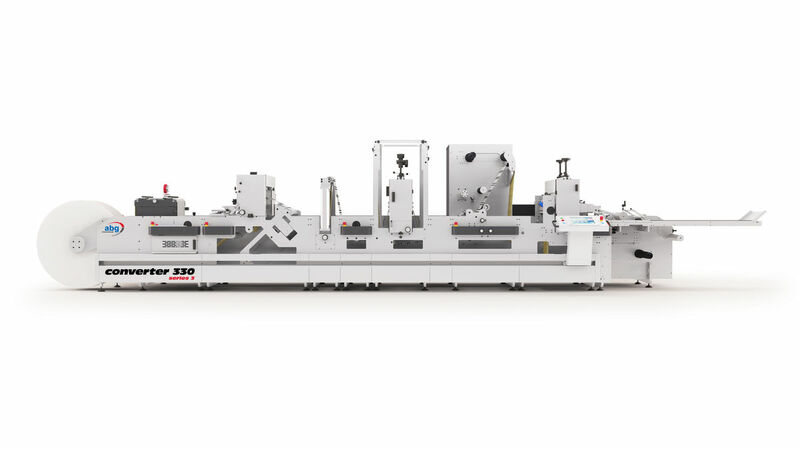 The RTS is a servo driven sheeter with a guillotine style cutting action; it is available in three web widths 330mm, 430mm & 530mm and can cut to mark, to length or to interlabel gap with an accuracy of +/-0.15mm. Easy-to-use - with intuitive, multilingual touchscreen control. Waste reducing - the RTS will stop automatically, when the job is complete. Efficient operation - due to automated make ready control and a speed control function with automated speed limitation. Also included is a configurable missing registration mark window. Our fleyeVision 100% print inspection system guarantees perfect results, prevents costly customer rejections and delivers an impressive return on investment. 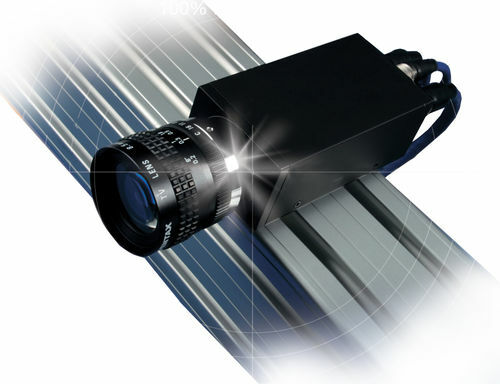 High speed digital cameras - for accurate, real time identification of faults. Flexible - inspection parameters can be fine tuned to meet your needs, then saved for future reference. Easy to use - via intuitive touch screen control. 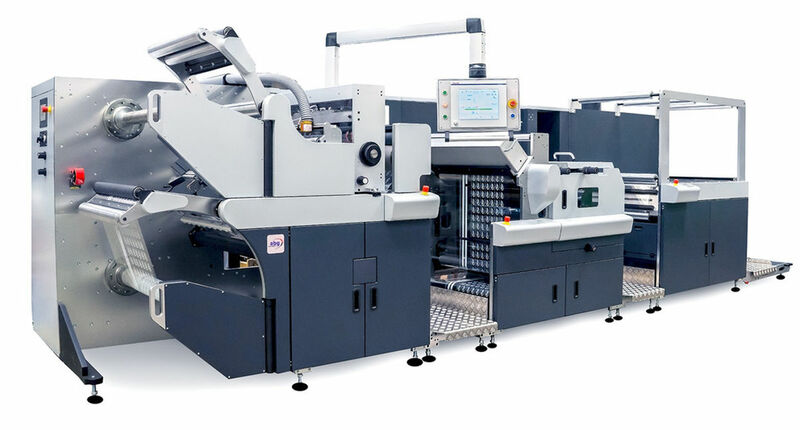 The Omega B5010 is a modular system which can process up to 36,000 booklet labels per hour. 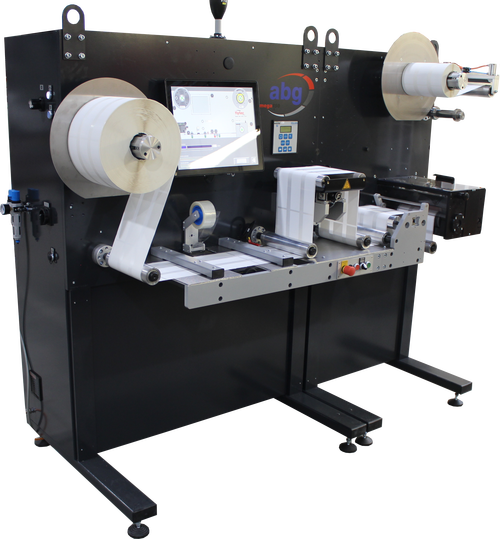 Equipped with a booklet label feeding system, it can handle booklets ranging in length from 25mm to 80mm, and in width from 280mm to 320mm, and switches effortlessly between them. Booklets can contain up to 56 sheets – 112 pages – and be secured by hot or cold glue as well as by lamination, depending on your need. Servo-controlled registration - guarantees high output and positioning accuracy of +/- 0.5mm for the booklet. Versatile - the distance between each booklet and repeat lengths can easily be adjusted. Precurling system - an option for booklets which are to be applied to cylindrical containers. The Omega Ti200 is an entry level machine which will enable you to produce radio frequency identification (RFID) and electronic article surveillance (EAS) labels. 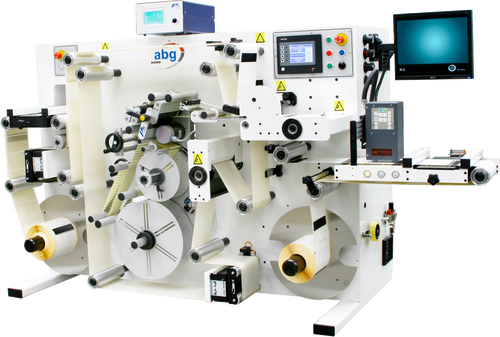 It is designed to take rolls of printed die cut labels and insert smart RFID or EAS tags (or a range of other inserts) in a single pass. 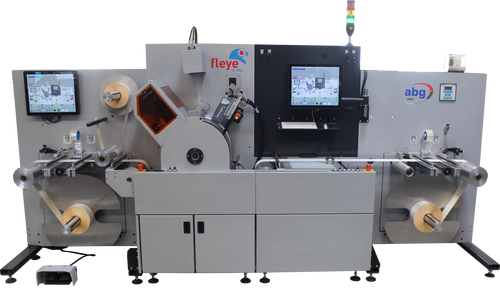 Single lane, low cost and easy to use, it makes smart label production available to any label production or converting business. 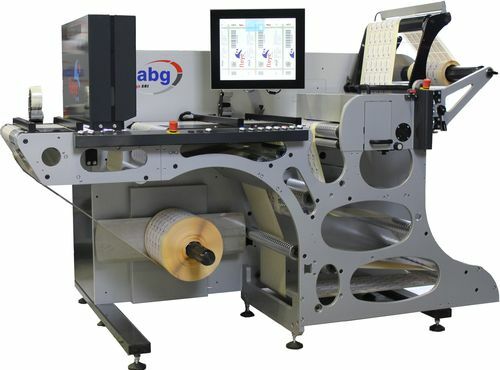 Fast - 1000 label insertions per minute. Touch screen operation - easy to use and intuitive. Anti-static technology - to limit dust attraction and reduce cleaning. Omega Converting Lines are custom built for high volume radio frequency identification (RFID) and electronic article surveillance (EAS) label production. 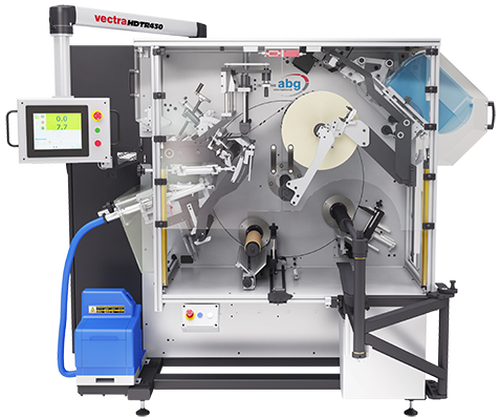 Our digital print converting machine has been developed to meet a very specific requirement – the need to apply variable data to labels. Labels used in clinical trails, for inventory purposes and security applications, as well as for advertising games, tickets, tags, plastic cards and direct mail materials, require individual information to be printed on each. Servo driven technology, advanced engineering, advanced SPS/PC control - easy-to-use, smooth and reliable operation. Big reverse rollers - allow the printing of booklets. 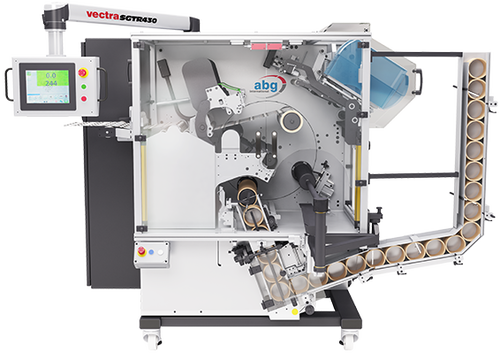 Print drum - ensures perfect material handling, together with compact printing and drying. Your customers depend on you to deliver the very highest quality, in full and on time. Nothing else will do. Your reputation depends on it and our equipment will not let you down.